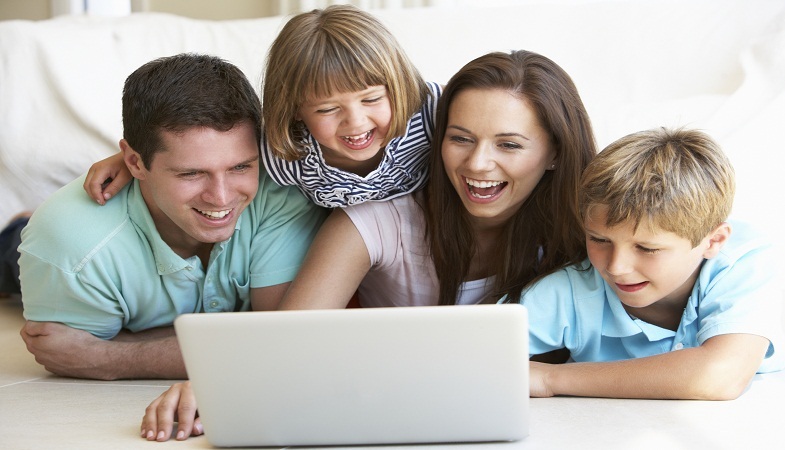 What are the Steps to Achieve Good Digital Parenting? Digital parenting is not easy. Whoever has said parenting in the digital age is tough is absolutely right. Children are exposed to the world of technology at a quite young age, making use of various digital gadgets such as mobile phones, laptops, gaming consoles, and tablets. At different age, the need for a digital device varies among children. Amazon and other companies have created tablets and e-readers for pre-school kids. Some parents are also purchasing smartphones for kindergartners so as to help them by installing different studying material apps on the devices. As they pass their elementary and middle-school years, children start demanding for an exclusive smartphone to keep themselves connected with their school friends, play online games, and seek help with homework through the internet. Soon, the use of digital devices escalates and children start using them for various other reasons including but not limited to texting, sharing pictures and videos on social media, and watching movies/TV shows online. Too much of exposure to the world of internet and social media can be slightly problematic for children and may bring forth a number of online risks for them that range from cyberbullying to sexting to exchanging messages with pedophiles to identity theft and simply spending way too much time on their screens. When it comes to children getting highly addicted to the digital devices, parents need to play a proactive role here. They have to stay extremely vigilant at all times. Considering the number of online risks lurking on the internet, parents need to keep a watch on their kids’ online activities to ensure their safety and online privacy. Remember, only good digital parenting is the key to provide a healthy and safe online experience to your children. Surely, digital parenting is not easy, as we mentioned above, but with the help of a few effective steps, which may be challenging for parents in the beginning, they can definitely keep their children at bay from the online dangers. Becoming a digital parent is important if you really want to keep up with the steps your children take in the digital era. The first and foremost step for becoming a good digital parent is to keep yourself updated with the latest trends in technology, especially how the internet works and which social media sites are consuming most of your kids’ time. Internet and social media may be the first technology in human history where adults are being led by the kids. Nowadays, kindergartners are explaining to their parents how to upload a video or play a game. Teens roll their eyes on parents when they fail to operate Netflix. However, there are abundant of video tutorials, guides, and explanations available on the internet that can help with increasing your knowledge about technology. Whenever you are stuck somewhere and want to seek a quick explanation or answer, you can simply type in your question on Google and then wait for the search engine to load abundant of information for you to move forward. It is critical for you to understand the basics of internet so you can guide your children if or when they happen to come across a trouble online. It may sound simple but, in all honesty, communication is the most integral factor leading to good digital parenting. Parents who keep an open line of communication going with their children succeed in understanding their thinking, ideologies, and plans. When kids know they have an easy approach to their parents they can talk to them comfortably about any problems they’re experiencing on the internet. The best way to deal with your kids’ problems is to talk to them early and often. Give them enough space so they can come to you at any time and open up themselves. Good communication will also strengthen the bond you share with your children. Despite trying your best, there will be times when you won’t be able to hover around your kids. When things go out of your hand, the need for seeking help from monitoring tools arises. These monitoring tools can help you keep an eye on your kids’ online activities. Certainly, there is inappropriate content available on the internet you don’t want your kids to come across. Apart from that, you would not want your kids to engage with sexual predators on the internet or exchange bold pictures and videos with their friends on social media. To keep a control over their online activities, you need to use parental control solutions. Numerous parental control apps and software is available, either free or paid, helping parents manage their kids’ online experience. These parental controls can be used to track your kids’ location, web browsing history, messages, calls, and whatever they are using their digital devices for. Many parents find trouble while setting limits and ground rules for their children’s digital use. But that is not a rocket science which cannot be achieved. You can start off by setting limits and ground rules to the use of digital devices by not allowing them to use at certain times such as dinnertime, bedtime, etc. They should be asked to hand in their devices before going to bed. On the other hand, you can also set limits on their screen time. For instance, when they come back from school, they should only be allowed to use digital devices for only an hour before lunch is ready. The same rule can be applied at night as well. Once you have set the rules, make sure to enforce them. Make your children clear that if they try to break the rules then they will lose all the online privileges and face other consequences. Kids, especially teens, get irritated when they find their parents stalking them on various social media sites. They never entertain the idea of being stalked or monitored. As they grow older, they enjoy having a space of their own and want freedom. Parents should understand how important it is to let their teens feel independent. While it is not entirely bad keeping an eye on their social media activities, keep your intrusion minimal and don’t act like a spy. What kids would prefer is that you talk to them about their social media life instead of stalking them bluntly. Talking instead of stalking is what builds confidence and trust between parents and children. As a parent, you need to give some space to your teen to experiment and try new things and to take calculated risks. When your teen is busy talking to their friends on social media, talk to them about his/her friends instead of spying them discreetly. Kids will appreciate your concern and will share their life with you. Children always follow their parents’ footsteps. They do what they see their parents doing. So if you want to see your children making healthy use of the internet, first do it yourself. You need to be the change you want to see in your children. Resist the urge to open your phone for checking your email while having dinner or sending a quick text while driving on the road. Do not spend too much of time on your devices. Observe your own digital habits and maintain a balance with your digital use if you want your kids to listen to you. As actions speak louder than words, your kids will be inclined to pay more attention to what you do in front of them than to what you say. This works both ways – online and offline.